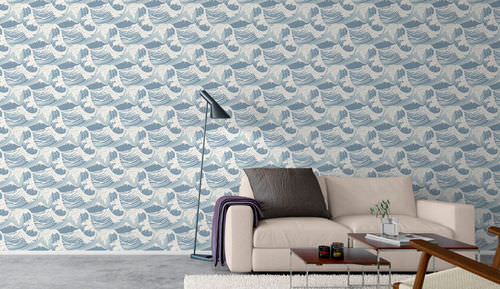 It had fallen out of favour in recent years but wallpaper made a comeback. Especially as its 2015 incarnation involves texture, fabric and dyed fibre. 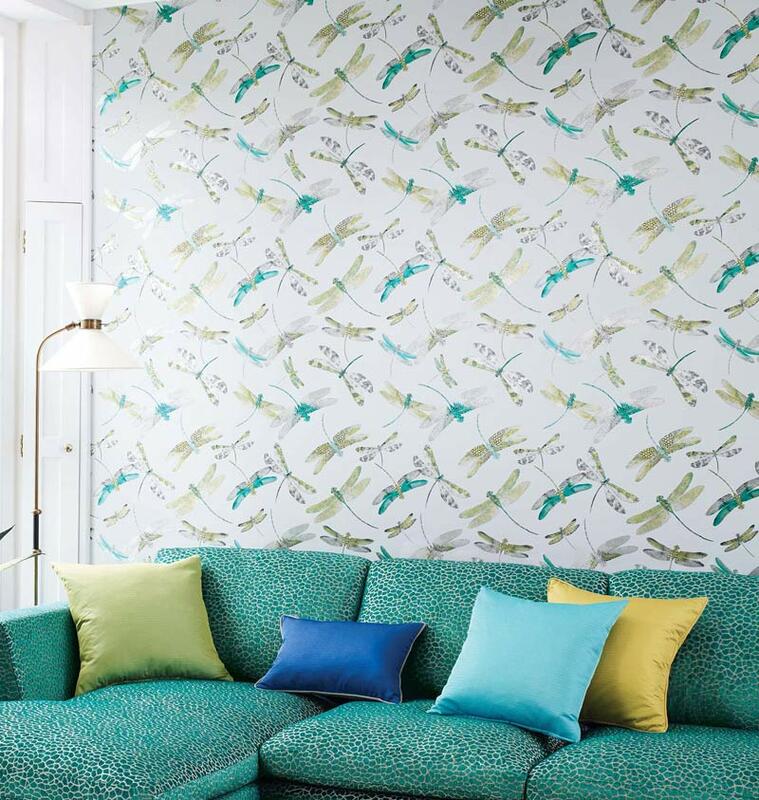 Clever patterns too can create a wall of crumbling plaster, marble, bamboo or shimmering fish scales (Elitis). In 2015, pattern was back with pizzazz; from perfect symmetry to a boho mix of styles, from bold florals to animal-inspired designs. It was playful, unexpected and joyous. Bold colours and striking contrasts, such as cobalt blue and black, led the industrial trend in spring. While for the rest of the year, strong earthy colours were in vogue. Pantone’s Marsala is a great example, with warm tones of copper and plum it has all the appeal of a rainforest’s rich red mud. Little wonder it was Pantone of the year. 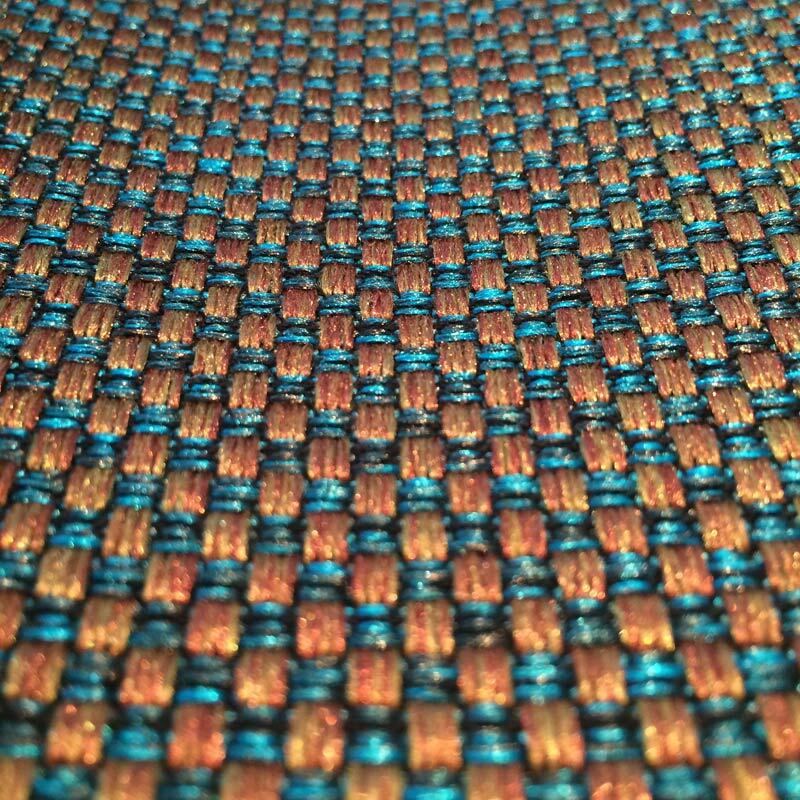 A shimmer of steel or a glimpse of copper, polished or brushed, from light fittings to woven soft furnishings metals made their mark on 2015. This year was characterised by organic shapes twisting into contemporary pieces that more resembled art, than furniture and ornamentation. This sense of wonder at the natural world was best displayed at the London Fashion Week in March by Erdem’s autumn/winter collection. 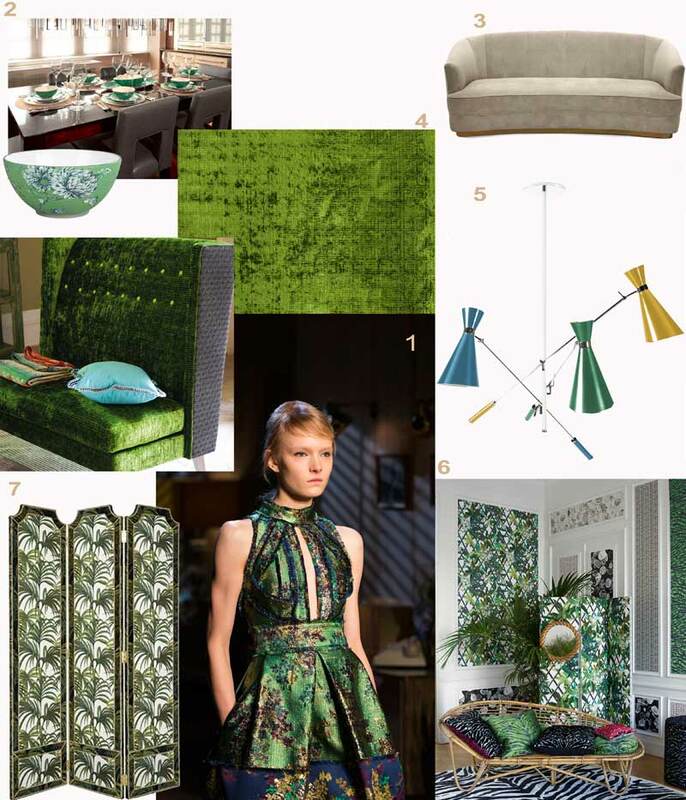 Its verdant patterns and emerald greens translated beautifully into upholstery, soft furnishings and screens. Oriental themes too, migrated from the catwalk through interiors this year. Collections of objects d’art and elegant florals with bird, butterfly or dragonfly motifs were paired with electric colours. Coastal visions were summer’s unexpected hit. From cushions and wall coverings that bring the waves and skies into your room, to sand-coloured upholstery and ornaments of man-made coral and shell, this trend was soothing and evocative. 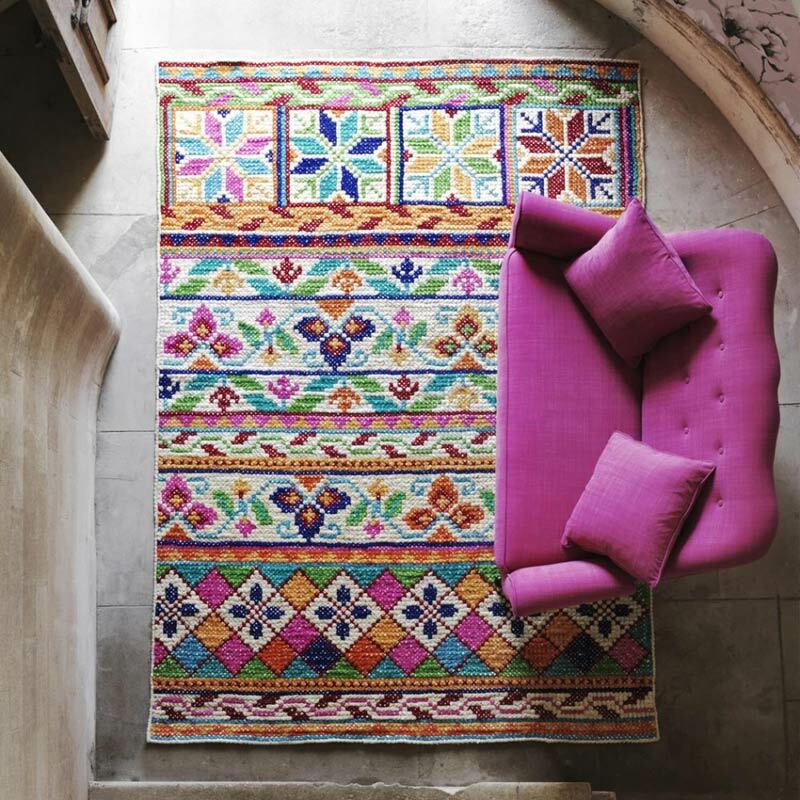 The well-travelled theme made its mark right through the year as a boho mix of fabric, pattern and furnishings. Moroccan tiles were paired with painted Indian side tables, Peruvian-weave throws and Dutch-patterned rugs. The effect was a surprisingly sophisticated eclectic mix. This year, homage was paid to the work of design pioneers and visionaries. Designers either reinterpreted the masters or they brought the designs back to life for the next generation to enjoy. 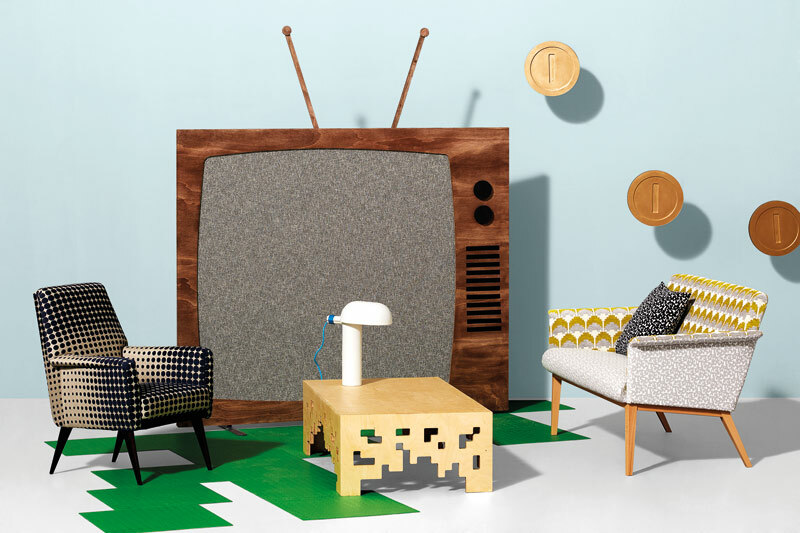 George Nelson’s sunflower clock brought ‘50s quirkiness to 2015 interiors; Arte’s contemporary re-imagining of Le Corbusier’s work brought dots and square designs to wall coverings and the wonderful world of Ray and Charles Eames was celebrated both by the Barbican and by ani M INTERIORS’ designers. Photo Credit: The World of Charles and Ray Eames. Wire Chairs with bird, 1953. 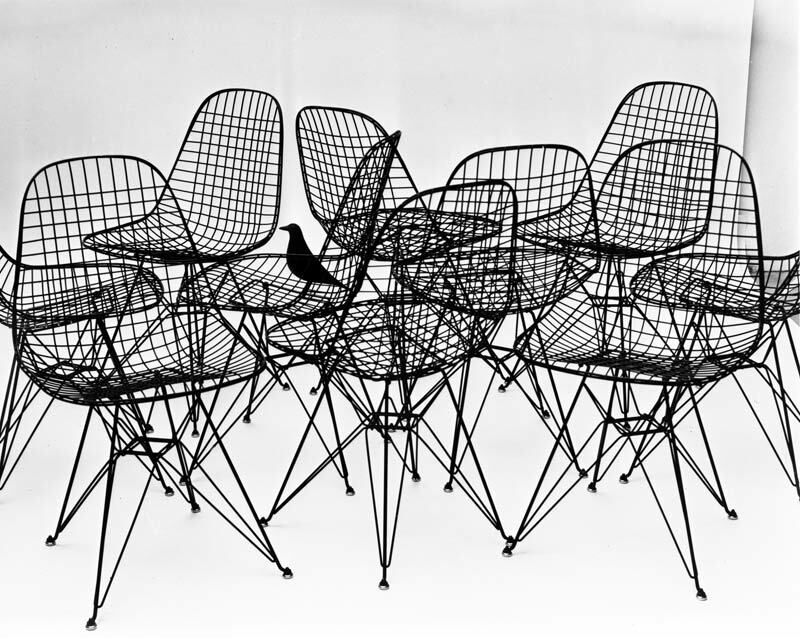 Photograph: Charles Eames. © Eames Office LLC. This year’s trends have been unexpected, playful and bold. Sleek lines were juxtaposed with free-flowing organic shapes, polished metal shone out from earthy colours, while butterflies and birds swooped over coastal scenes. The ani M INTERIORS team keeps ahead of the trends by attending trade exhibitions such as House and the May Design Series but it isn’t until the trends are interpreted for individual clients that they really come to life. If you would like the design team to interpret and personalise next year’s trends for your living space then get in touch today.